HIA: Falling house prices to damage affordability…say what? “We cannot tax our way out of the housing affordability problem. The solution is less tax on housing and less government distortions on the market, not more. “According to modelling undertaken by the CIE, on behalf of the HIA, an increase in CGT would result in a $1bn reduction in revenue to state Governments, increase the cost of renting and exacerbate the housing affordability challenge,” stated Tim Reardon, HIA’s Principal Economist. 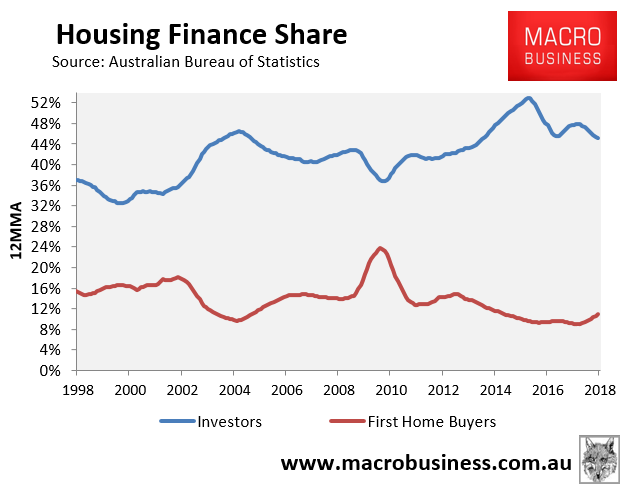 “The CIE also concludes that increasing the tax on rental homes may initially benefit ‘first home buyers’ but over time this gain will be lost as rental costs rise leading to higher home prices, that will once again force first home buyers out of the market,” added Mr Reardon. Does the HIA read its press releases before they are sent out? Did they not recognise that it is completely contradictory? On the one hand, the HIA claims that Labor’s CGT policy would result in “a worsening of the affordability challenge”. Then immediately afterwards they claim that “an increase in CGT would result in a $1bn reduction in revenue to state Governments” because prices would fall, thereby unambiguously improving housing affordability. Contrary to the HIA’s propaganda, unwinding the CGT discount makes sense for a variety of reasons. First, there are actually significant Budget savings to be made. 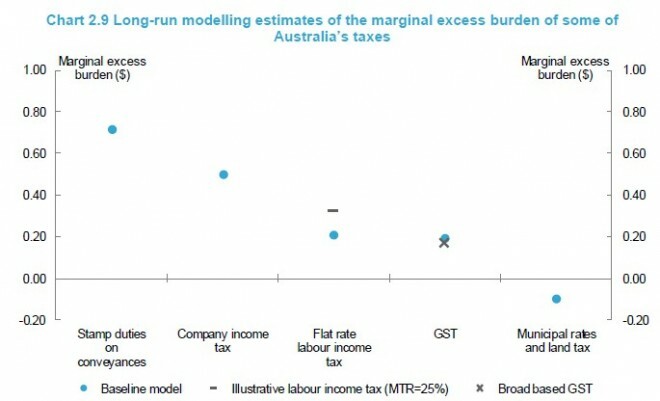 The Parliamentary Budget Office has estimated that cutting the CGT discount to 40% would provide a four-year Budget saving of $2.3 billion, whereas cutting the discount to 25% [Labor’s policy] would save $5.7 billion over four years, and removing it altogether would save the Budget $10 billion. In a time of deep Budget deficits such savings are money for jam. Sure, there would be some negative impact on state budgets, but given stamp duties are one of the most inefficient tax bases around, what better way to encourage reform and facilitate a shift towards land taxes than making stamp duties less attractive? 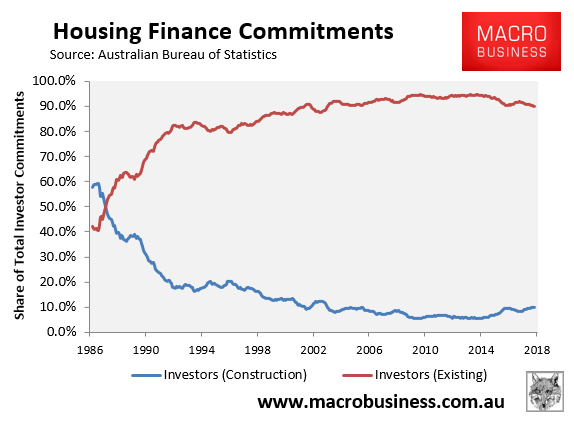 By all measures, negative gearing and the CGT discount have been epic failures in achieving the HIA’s goal of boosting new construction, despite their significant cost to the Budget. 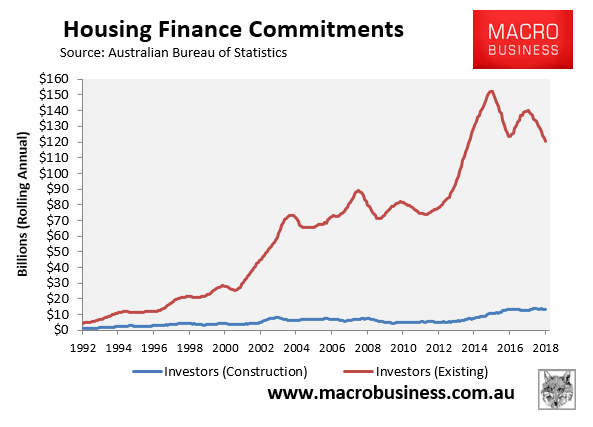 Thus, any reduction in investor demand from cutting the CGT discount would unambiguously benefit FHBs, who would no longer be crowded-out. In short, the HIA has resorted to paid propaganda rather than a considered analysis of the facts.